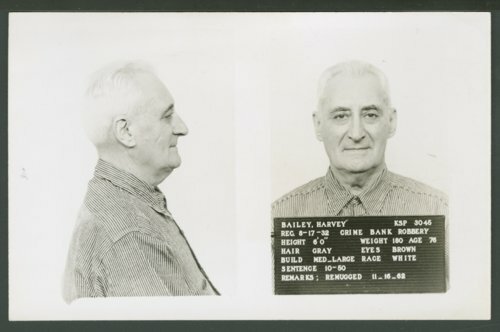 This image is a Kansas State Penitentiary mug shot of Harvey Bailey inmate number 3045. He was sentenced to 10-50 years for bank robbery. At the time this photograph was taken, he was 76 years old.